But to afford all the players you’ve ever wanted- from your childhood icon 93-rated Thierry Henry to 99-rated TOTY Cristiano Ronaldo you would have to be the Warren Buffet of FUT trading. Jokes apart, you could make your life much easier if you simply bought a FUT Trading Bot. To afford a full team of Icons you either have to be very, very rich and spend a lot of real money, or you have to trade much more time than you actually play the game. so if you still want to have a full team of icons and really great players, then your only possible choice is to get a FUT BOT like FUTMillionaire. 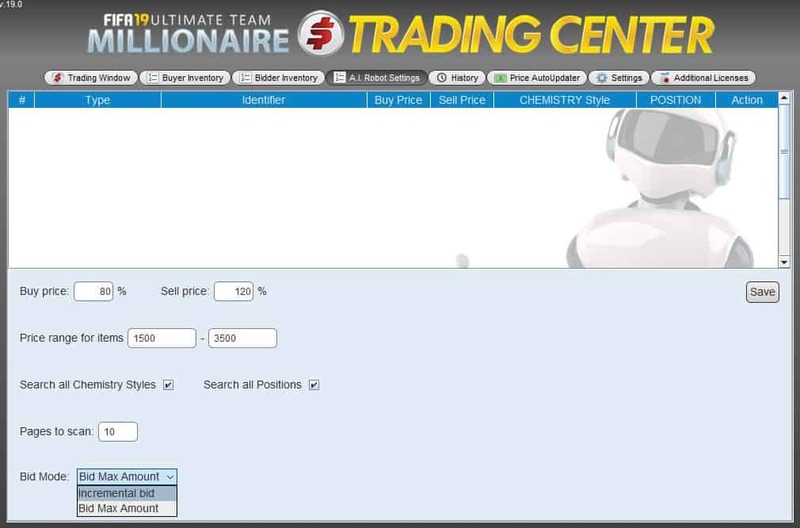 FUTMillionaire is an Artificial Intelligence (AI) dependent software, which automates basic trading tasks namely – bidding for players, sniping players and listing them after you’ve bought them . The AI Robot module in particular that you can see on display below, is completely automated and requires no supervision from the user once the initial parameters are set. The Autobidder on the other hand automatically bid on cards that the user has specified which are within the given price range. The Autobuyer Module lastly is a bot used to ‘snipe’ for low price deals and instantly buys those cards so that they can be sold later on. The great thing about FUTMillionaire is that it carries all of these modules, so it’s completely flexible and leaves it up to you, the degree of control you may want to have in your trading. Based on this study, we calculated that for every $99.99 you spent on 12000 FIFA Points you would get back a modest sum of little over 240,000 coins. This number was calculated based on the median return of coins.In the aforementioned research, it was calculated that a pack has a median return value of 38.9% to its actual cost in coins. Buying 5 packs would cost 625,000 coins and 38.9% of 625,000 is 243,125. Considering that 12000 points were spent, the return is very poor and is around 20 coins per point or a meager 2,400 coins per $ spent. This too, before the 5% tax that EA cuts from all sales. If you choose to spend a similar amount on FUTMillionaire, it would get you a more than 5 month subscription to the service. Lots of traders using FUTMillionaire have been able to earn more than 300K per day using FUTMillionaire but let’s say you’re an average trader and you can only get 100k coins per day. That is 3 million coins per month. During the 5 months that is 15 Million coins for the same investment. Now compare that to the meager 240K from FIFA Points. That means FUTMillionaire provides 60 times more coins for the same amount of dollars spent than packs if you’re an average trader. If you’re actually good, the figure is much higher. For years now, there has been a heated argument about trading bots- are FIFA bots ethical and legal to use? The forums on Reddit -r/FIFA and discussion boards are full of hardworking manual traders who seem to hate and rage over people who rely on the services of FUT Bots. If you make use of AutoBuyer, you don’t have to keep refreshing for new deals on the last page and try to manually snipe for players that you want to invest in. Simply fill in the parameters and AutoBuyer will snipe players which meet your criteria. Bots are much faster than humans so there is a much higher success rate when using bots compared to if you were sniping manually. You also do not have to waste hours over hours on sniping when you could be doing much more important work like actually playing the game instead of being glued to the transfer market. Trading Bots are highly protected, this ensures that no one but yourself can access your account. This makes you and your precious cards impervious to any hacking.No personal details are stored in the program so your data will not be mined for any other purposes. FUTMillionaire will also let you know why some of your coin making methods aren’t working if you are not that experienced in FUT trading. FUT trading bots are very easy to use and can be picked up very quickly. Once mastery over the program is achieved, making coin profit will come to you very naturally and will become second nature. However, just in case your profits begin to stagnate or plateau, it also comes with detailed trading guides inside the Members area and recommended player lists, that will help you in case you need it. As mentioned above, elite Trading Bots like FUTMillionaire are able to auto-update themselves and always have your buying and selling prices adjusted to the market prices. This means your bot can run for 24 hours per day making you coins. Note-This is not true for all trading bots, Only trustworthy and elite bots like FUTMillionaire have this feature because they believe completely in their products. In the unfortunate circumstances in which you cannot get results or the trading bot simply is not compatible with your device, you are free to avail all your money back. This drastically reduces the risk of your investment into the bot but it is an investment that will pay off big time in the form of millions over millions in coins. If you plan on buying FUTMillionaire you should make note of this. Because AutoBidder and AutoBuyer use different functions n the transfer market, they cannot be used at the same time, and one must be stopped to run the other. AutoBuyer uses the ‘Buy it Now’(BIN) function whereas AutoBidder makes use of the ‘Bid’ function where it automatically places a bid on the cards. This may seem like a glaring issue but it really is not that big of a problem. AutoBidder and AutoBuyer can both function independently without your supervision even when you are away from your device. AutoBuyer and AutoBidder can also work through the night when you are asleep. Furthermore, if in case you are adamant about using AutoBidder and AutoBuyer simultaneously to get the most bang for your buck you can simply set up multiple accounts each on which either the AutoBuyer or the AutoBidder would work. 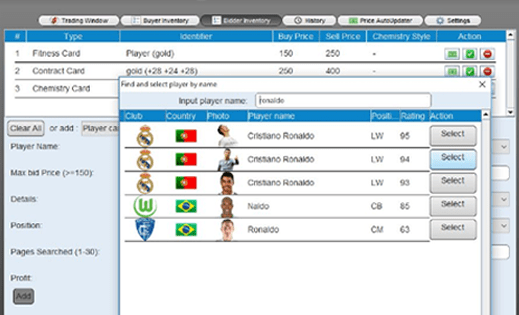 If you are entirely new to FIFA Ultimate Team trading, then configuring the program may seem difficult to you at first. You will have to a bit of research and read a couple of guides that will explain the various methods of trading, once you get familiar with a specific method of trading manually it will become much more easier to automate through FUTMillionaire. 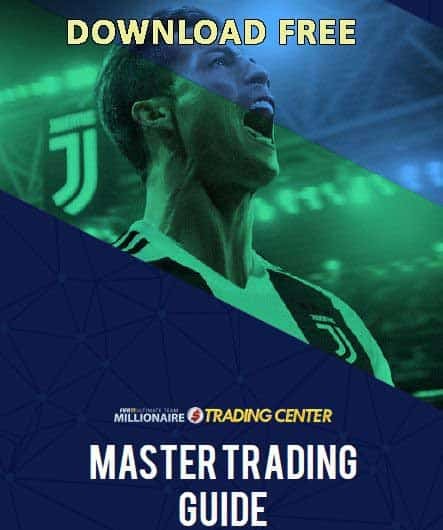 Luckily for you, not only FUTMillionaire offers a detailed members area with a lot of trading methods, but there are pages over pages of guides on FIFA Trading in the internet and many YouTubers specializelise in FUT trading who help people out year after year in their goal of achieving a multi-million coin team. As we end this article it should be abundantly clear to you by now that the Pros of using an high quality Trading Bot like FUTMillionaire clearly outweigh its Cons. While there surely are some disadvantages of using a Trading Bot, they are minor and can easily be overcome with little effort. However, you must be cautious about using shady software and/or coin ‘generators’. There have been some Bots on the internet that are not at all trustworthy and are just elaborate scams which are designed to loot you. There are also lots of ‘clickbait’ YouTube videos showing off Coin Generators. Please note that there are no coin generators and there is no way to magically increase your coinage. There are lots of scams in running in the FIFA coin sector mainly because it is such a popular game. You should only trust 100% proven and reliable brands like FUTMillionaire if you don’t want to get ripped off. If you are still skeptical, please remember you can test the program for 60 days for free and if you are not getting results, simply ask for a refund. We sincerely hope that this article has been worth your time and will help you choose whether you want to automate your trading or slave through the transfer market manually.